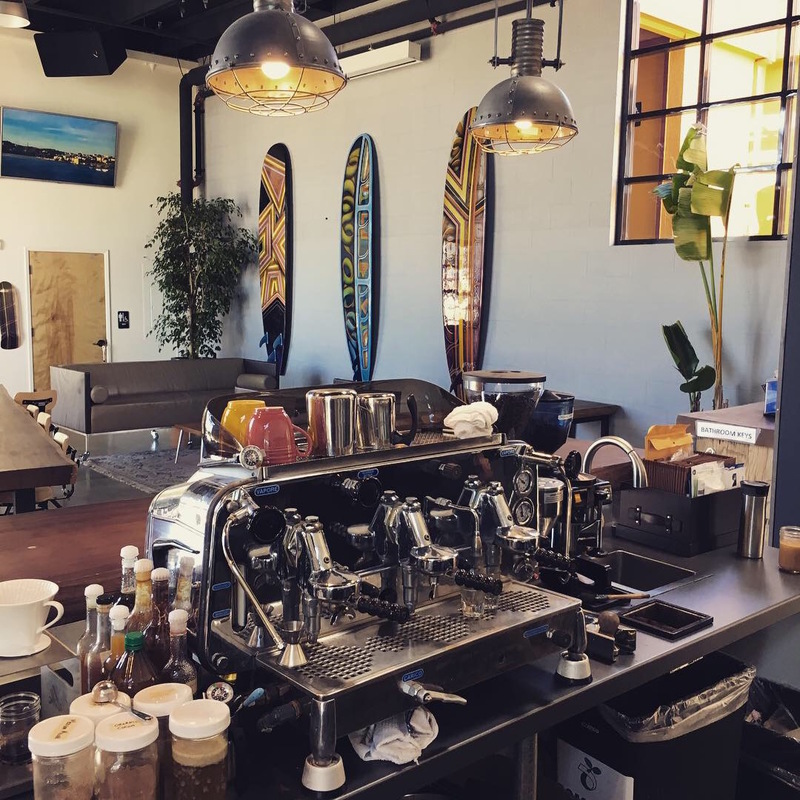 The new Hidden Fortress Coffee Roasters cafe and event space at 1123 Fremont Blvd in Seaside, California. All photos courtesy of Hidden Fortress. 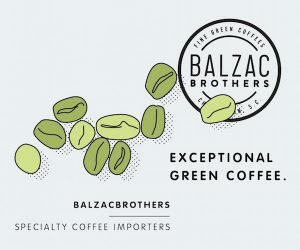 For all the common ground between craft beer and specialty coffee, the barriers to setting up shop in either industry have their differences. In Watsonville, California, Amelia Loftus, an award-winning craft beer home-brewer, seller of home-brewing materials and author of the book Sustainable Homebrewing, found that the permit fees for establishing a brewery there were considerably more restrictive than the barriers involved with starting a coffee roastery. So Loftus took the path of less resistance, and pursued her lateral love of roasting high-quality specialty coffee. 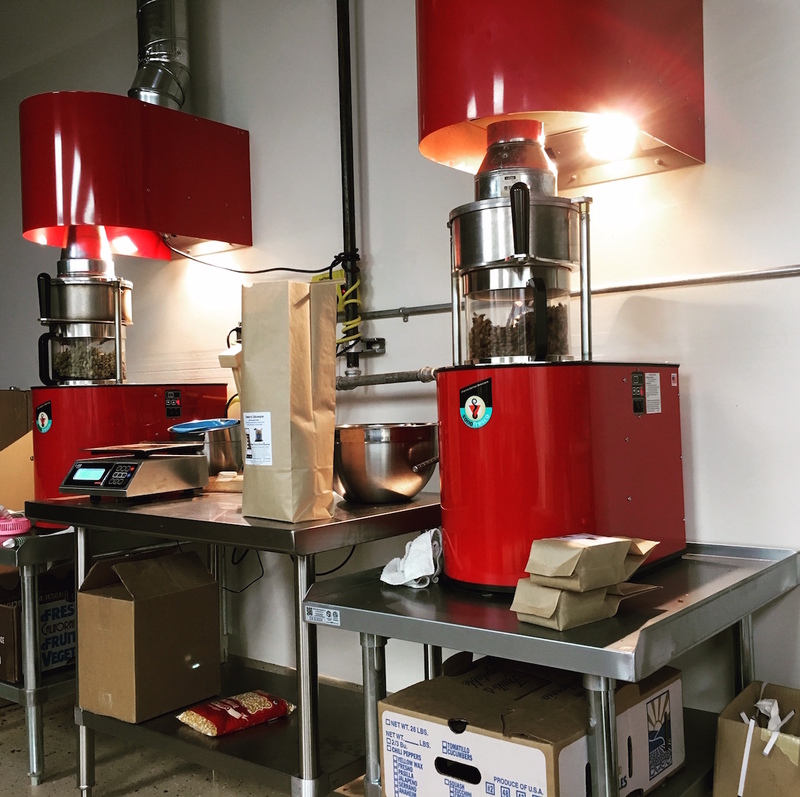 Two years ago, the resulting business, Hidden Fortress Coffee Roasters, opened a roastery cafe in Watsonville after a period of roasting small volumes for sale at local farmers markets. 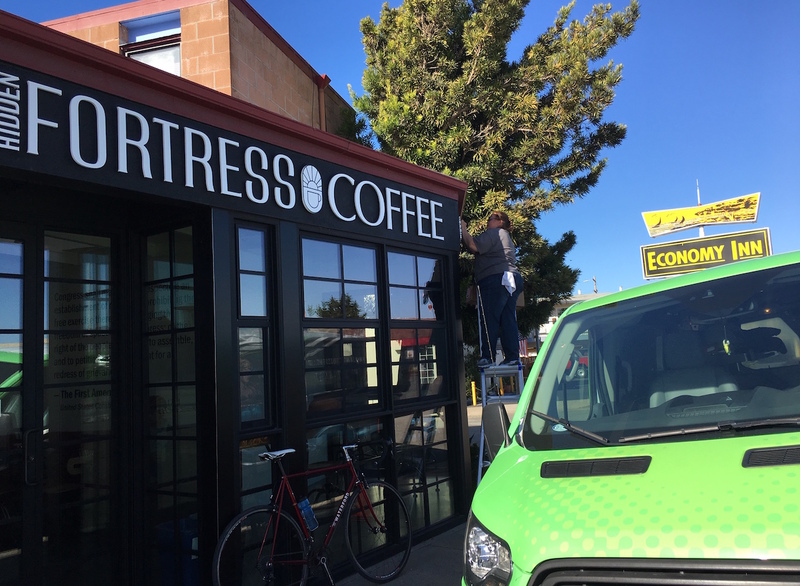 As of this month, the company has expanded into a second retail coffeehouse in nearby Seaside, California. The act of brewing beer is all about timing — adding different inputs at different times and allowing certain processes to continue for long enough, but not too long. Roasting coffee is also very time-oriented, and while the only inputs are heat and air, adjusting those at the right moments is crucial. 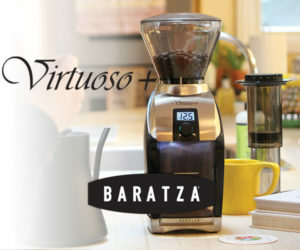 Furthermore, in a sort of yin-yang of simplicity and complication, coffee in production is essentially pure. All its flavors are coaxed out from within, whereas beer is “a potion of many elements,” according to Loftus. Yet when finished, beer is more consistently drank as it is, whereas coffee is often consumed with milks or other late additions. 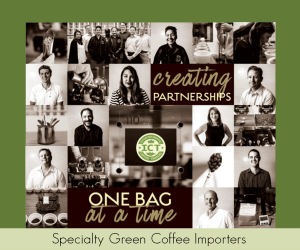 A section of Loftus’ beer supply website had long been devoted to home coffee roasting, offering small amounts of green coffees and a selection of home roasting equipment. 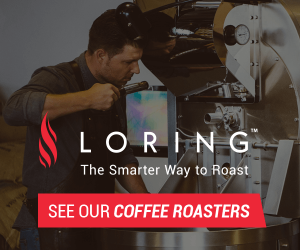 Loftus grew familiar enough with roasting through that expansion to at least be able to coach new home roasters on how to use their equipment. Retail roasted beans sales evolved outwards from there on a Sonofresco 2-pound roasting machine at first. A second 2-pounder was later added and the two now comprise the current HFCR production line. 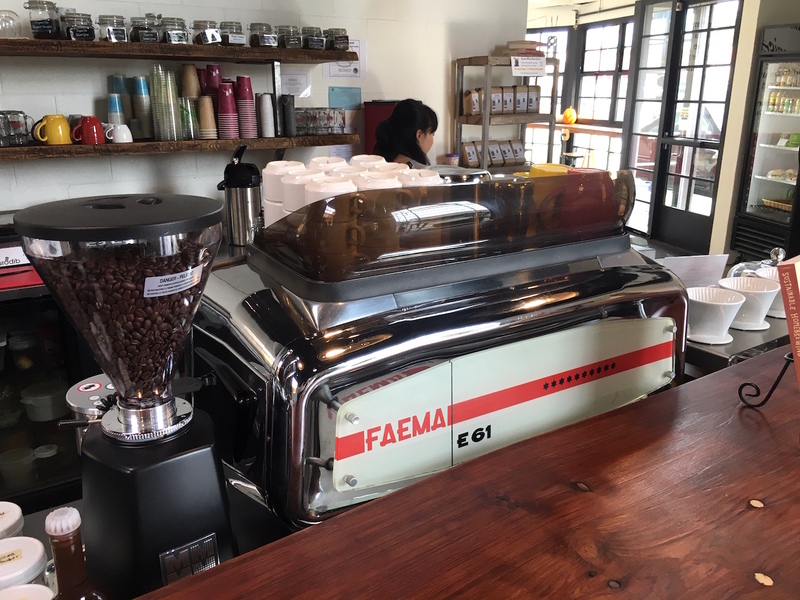 The coffee bar at the 1,800-square-foot Seaside location highlights those roasts via ceramic Melitta manual pourover drippers on a sturdy pourover station, as well as a vintage Faema E61 espresso machine that the owner of the building had refurbished by Mr. Espresso in Oakland. Under 18-foot-high ceilings, patrons can relax on modern industrial style furnishings that include leather couches, local redwood slab tabletops and a community table surfaced from a single cut from one long tree. Unlike the Watsonville shop in an industrial neighborhood, the Seaside location is in a more residential area where Loftus hopes to provide a homier atmosphere that brings the community together. The space carries a noise permit and has a P.A. system and other fixtures ready for events and various performances. 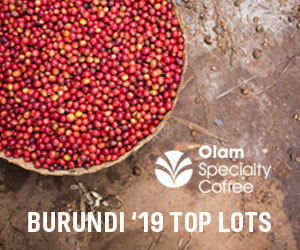 Loftus anticipates upgrading to higher-capacity fluid-bed roasting equipment soon, in order to relieve some of the pressure on her already-maxed-out production schedule. She also hears the siren call of her first craft obsession, beer, beckoning her back, although unlike the de rigueur roaster/brewer collaborations that yield a coffee beer, Loftus envisions dipping back into her own trove of traditional non-coffee recipes. 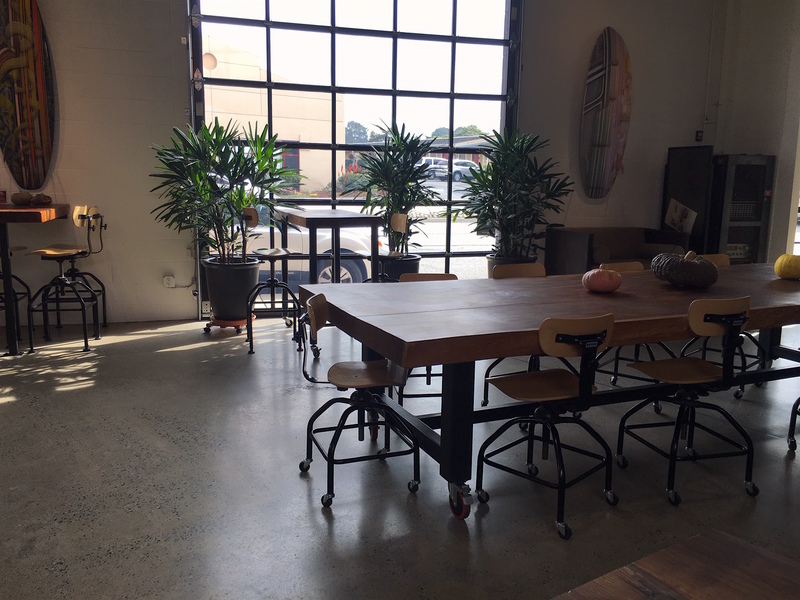 The new Hidden Fortress Coffee Roasters cafe and event space at 1123 Fremont Blvd in Seaside, California.